Driving down the gravel road with the Lower Crathes Dee river view on one side and my head out the window feeling the light breeze, looking more like an excited dog sticking his head out instead of the delicate fly fisherman I hoped myself to be. The purpose of this article is to encourage a meaningful debate about the action that should be taken to reverse the protracted, serious decline in the numbers of Atlantic salmon returning to Scottish rivers. The further decline in 2014 is a cause for great concern. Of course, any such debate is only worthwhile if it leads to effective action. One evening, the kids were in bed, my wife was lying on the couch and watching TV, I got a mail from Jon Sigurdsson from Iceland. After reading it I jumped out of the chair, clenched my fist and cheered like a soccer player who scores the goal of the goals. “Jes, Jes, Jes!”. 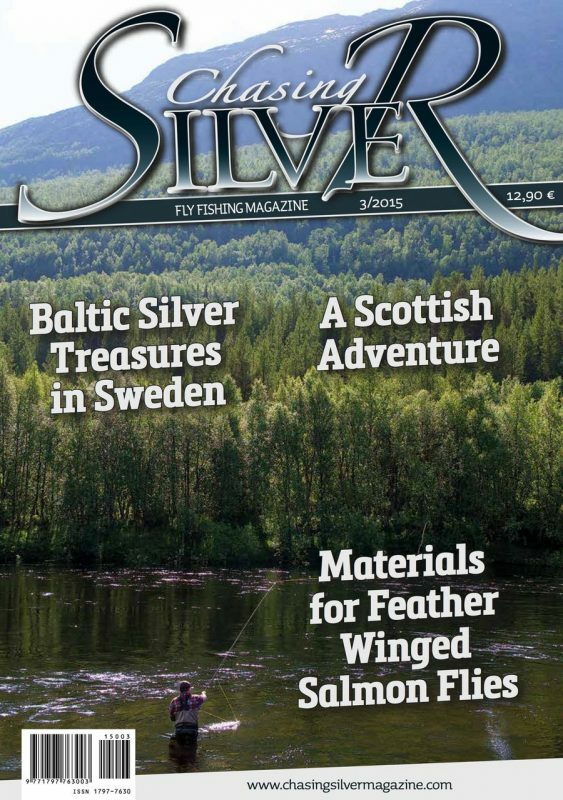 The river Byske is perhaps the best salmon river in Sweden, but it is also a challenging one. A river that demands a lot from fishermen. It may be the best possible school for those who want to become better salmon fishermen. Hottest in Scandinavia! High time to try the Baltic coast for sea trout. The fishing is in full swing from September to May and with a bit of luck, big fish are waiting among the waves. Every good fly starts with a design and a set of materials to support the vision the designer had in mind. With modern synthetic materials it is easy to follow a pattern to get consistent results and buy materials online but natural materials can vary greatly in size, shape and color. That unpredictable nature of course is also part of the appeal but takes a bit more thought to make it work and can be challenging for many. There have been books written about this vast concept but I will try to keep this article pretty simple and address the issues I get asked about the most. Connecting fly lines with loops has occasionally caused serious problems at least for me. I have tried every imaginable looping method from braided loops, loops made through the core of the lines to welded loops.